This is my first post, so a small introduction. From the day I sold it, I missed it but never got around to get a new one. I bought it unseen(!) on the net, and when I got it it was way rougher than expected but I no crying over spilt milk. The car has done the Monte Carlo Historique 4 times(5? ), but has been sitting for 2 years. It has probably been sitting on a dock because there is surface rust everywere. No severe rust. A '79 turbo? Well worth investing some time on the car getting it tidied up. 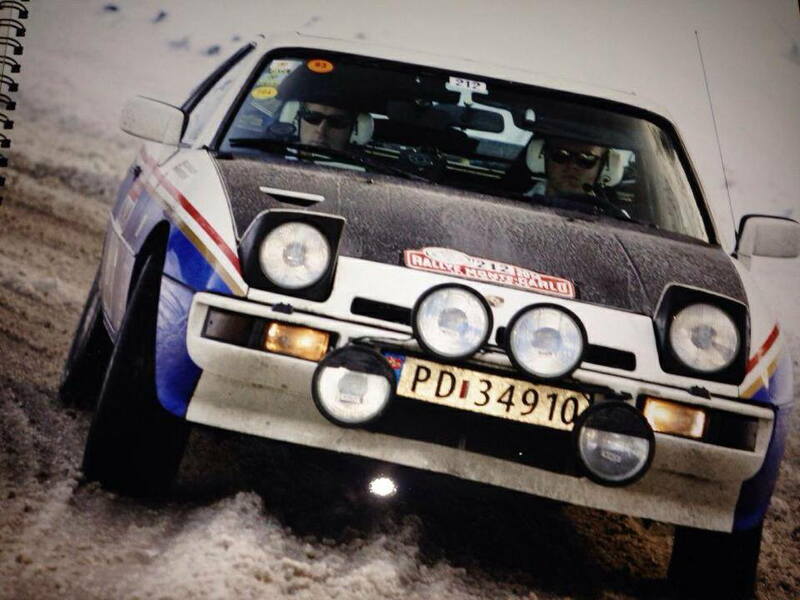 As it's been rallied you may as well continue to enter events. Very nice car ! Please keep us posted on the progress. 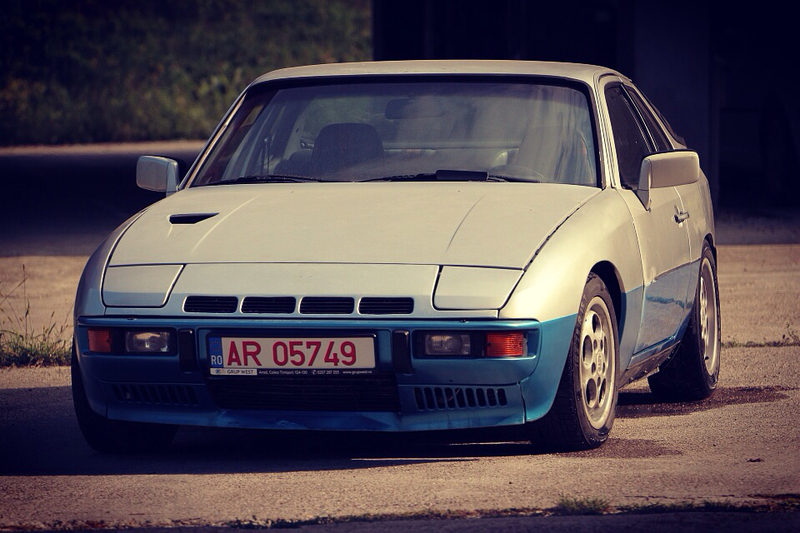 Welcome to the 924 ownership. Yes it is a 79. 2. On the intake manifoil there is a hole(tube) facing forward which is plugged. What should go here? 3. There seems to be a leak from the spring underneath the throthleboddy. Any suggestyions? 4. The exhaust is 2.5inch. Is that original? 5. Airfilter is super clogged: Is this a bespoke item or can I get one from another car? And ofcourse :What can I do to get a few extra bhp? What are the basic mods to get a few more ponnies? I am currently overhauling the brakes with all new o rings etc. I will do belts and general servicung as soon as I get my MG Midget done..
0. DONT turn the engine before doing the timing belt ! do the belt RIGHT...don't cheap out on the timing belt. 1. not original, the 931 has those grooves for cooling the oil...the original one was probably trashed during one of the rallies. 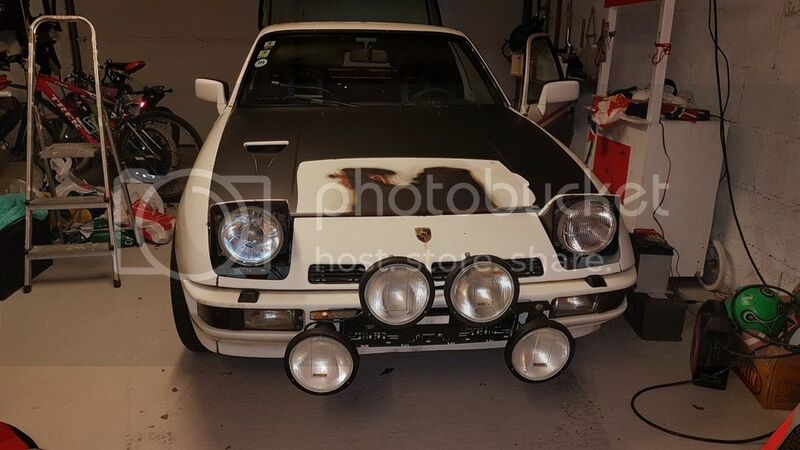 2. its missing the 924 turbo badge, you can get a charge tube for not so much. 4. i think yes, ~60mm OD. 5. maybe, but its not a fortune to order new for this car. You can install an intercooler and instantly free up around 20hp. Then you can upp the boost to get more..but i think 200 hp is easy to get and actually cheap as well. 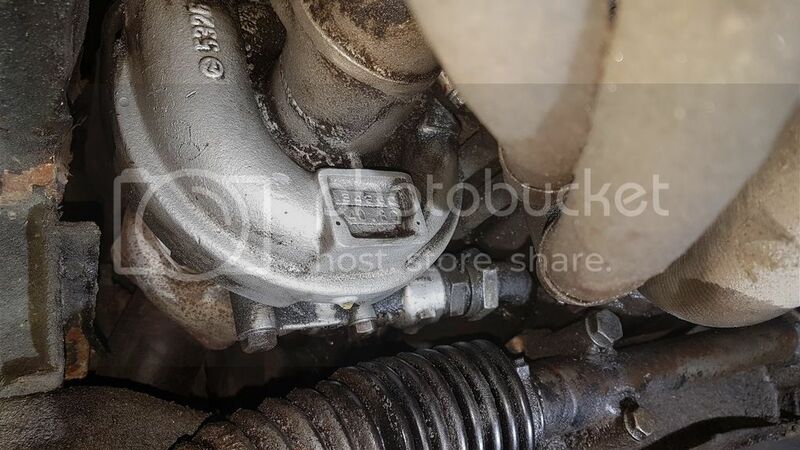 Regarding #3, leaking throttle body, I am not aware of any solution for fixing the Audi style TB's once they start to leak. Regarding #2, that hole is for the overboost protection switch. It normally would have an earth lead connected to it. When the car hits ~21PSI of boost, the overboost switch detects it and lifts ground to the fuel pump relay, effectively cutting off fuel supply. This results in safety for the engine, but will nearly pitch you thru the windscreen from the ensuing bucking. It appears that the previous owner removed the switch, and has probably simply grounded the earth wire (likely somewhere on the motor). Cheapest way to more power on an S1 car is water-methanol injection. It is cheap intercooling, and will allow you to safely increase boost to 12-15 PSI with no other modifications. The only downside is that the water-meth solution (windshield cleaning solvent) is consumable, so depending on how long your stages are, you could run out of fluid in a race. I have another customer who is rallying in France that is considering adding this as an option, as his stages are relatively short. Nice to see you on this board aswell! 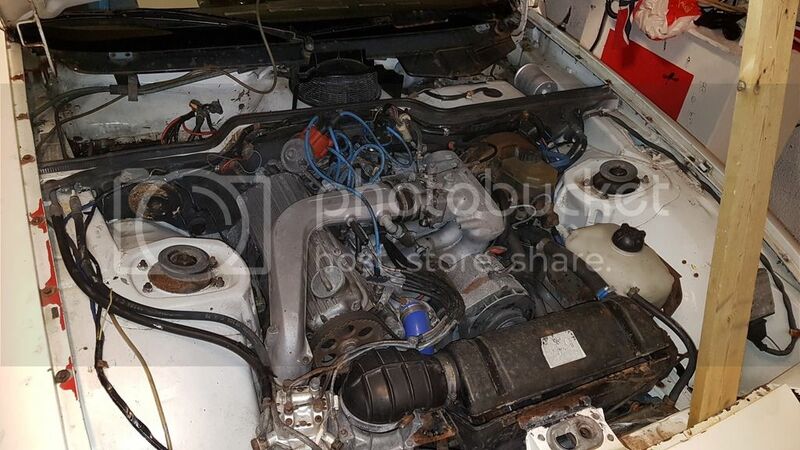 Thats a naasty looking engine bay, please give it some love Before you ever think about raising the horsepower I would take a look on the turbo ID number to be sure you´re not stuck with the 2470 compressor, which is awful if you want more horsepower. I guess this is running in regularity, what are the rules regarding the car there? 2. 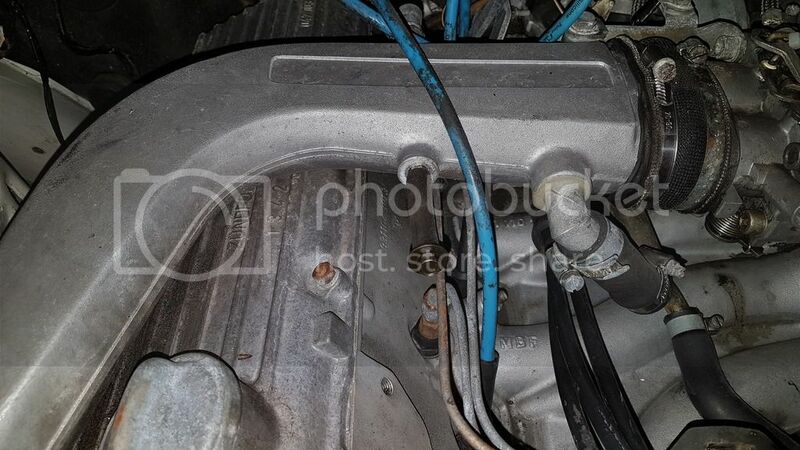 On the intake manifold there is a hole(tube) facing forward which is plugged. What should go here? 3. There seems to be a leak from the spring underneath the throttle body. Any suggestions? These S1 throttle body seals start wear out. My guess is you have lots of oil mist in the intake system and the oil is pooling and dripping out of the butterfly pivot seal. 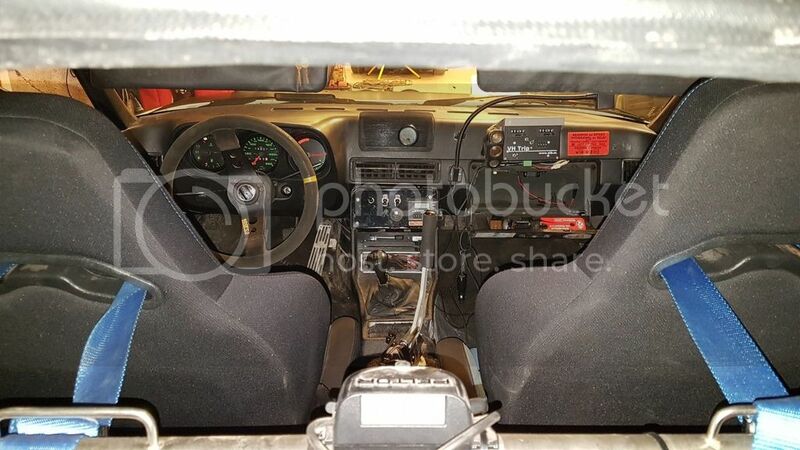 It will also be a boost/vacuum leak which may affect idle/running. Refurb or replace. If you intend to do rallys, check the regs of the events you plan to enter. Some classic/historic rallys insist on originality and no performance mods unless listed in homologation papers. Which means no added non standard meths/charge coolers etc. Should be a fun car to work on and play with. Thanks guys for helpful tips. I will of course do all maintenance and service before I take the car on the road again. 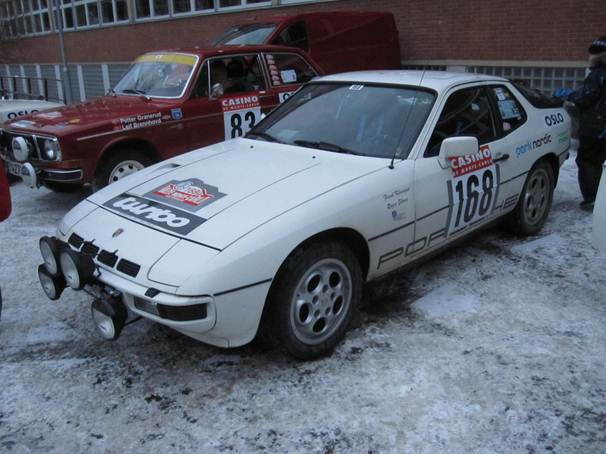 I was also not very clear when I asked my tuning question: The car must comply with the homologation papers from Porsche. This means no IC or water/meth injection. I can however up boost to 0.8bar. How do I do this, and do I have to do anything to fuel or spark in that process? In principle the homologation for group 3 is basically a stock car, and Group 4 is stock with 930 brakes, welded A-arms, rollcage, dry sump and a few more small bits I cant remember now. No real power upgrades except for the boost. I had a closer look at the turbo today. It might have been rebuilt at some point because there is an inscription on it. On the side it is marked: 5326 something..
Is this the standard unit? Alas, the blue/red tag is missing, no way to tell without it, or removing the turbocharger and inspecting the individual parts. Had a look through the homologation papers, it says 0,7+-0,1bar, does that really mean that you can run 0,8 ? I thought 0,1 was a boost tolerance you need to keep within with no chance of overboosting, but maybe it isnt that strict? The one on the top is definetly a better choice for a track car, that compressor gives you much better top end and will respond far better to more boost. I changed to that turbo on my car, not sure I could run 0,8 at all ambient conditions on my s2 engine, its fairly close to knocking, but it might be easier on a low comp s1 engine like yours. If you can find good fuel like 100oct then you are most likely safe. What is weird though is that both of these turbos are in the papers, but the specified dimensions on the wheels are only for the 2470 turbo, im not sure how that is supposed to be used. For your group i guess you are locked to the hardware stipulated in the papers? But as "RSR" writes, before you do anything get the engine in 100% running order, you really need to run with a wide band lambda to see that mixture is spot on, set correct timing etc. You can upgrade the wastegate spring to 0.8bar...or you can add some aluminium rings/shims under the spring for more boost....but if permited, a boost controller would be the easiest, quickest and offers the best control.